Wake Forest is having another down year at 10-12 overall and 3-7 in the ACC. Things got so bad back in December that Wake Forest’s radio partner stopped taking phone calls into head basketball coach’s Jeff Bzdelik’s radio show. While things have gotten a bit better in early 2013 with win over the Wahoos and Wolfpack, the official “fire Jeff Bzdelik” campaign is now in full swing. 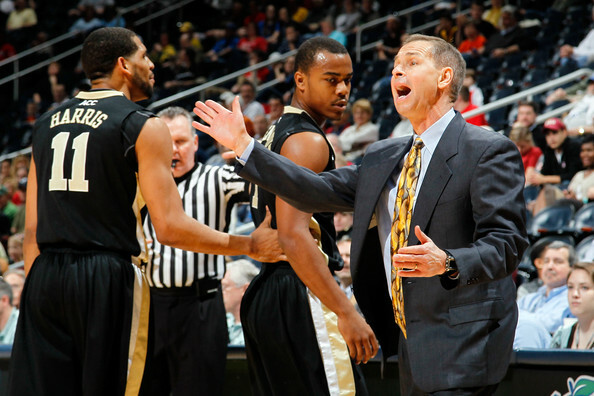 Bzdelik was hired when former Skip Prosser assistant Dino Gaudio was fired after taking the Demon Deacons to three straight NCAA tournaments. Athletic director Ron Wellman hired Bzdelik whom he knew, liked and may well have worked with before (who knows for sure and who has time to look up the details when you’re busy pointing fingers? Really?) to replace Gaudio. It didn’t help that Bzdelik’s record at his previous job, Coloarado, was a whopping 36-58. Maybe it was the “z” in his name, like Krzgshfbv9ski? Florida State is at Wake Forest on Saturday.